Using the soft-to-the-touch, and most elegant of semi-precious stone that is alabaster, this beautifully balanced Halo table light from Heathfield & Co pairs the delicate marble-esque swirls with clean brass tones giving a modern Art Deco edge you’ll want to admire with and without the light on. 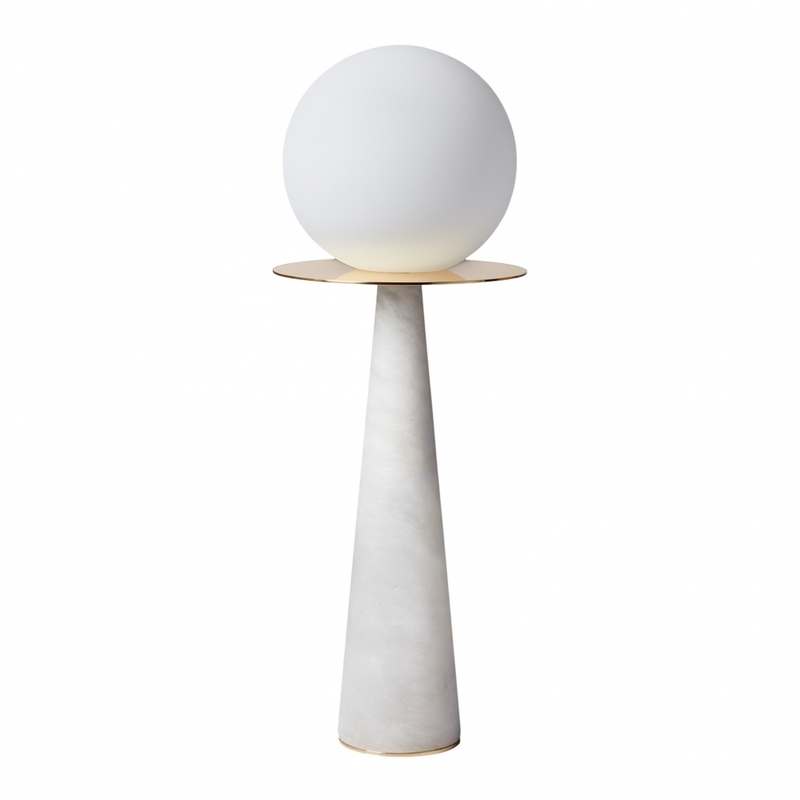 The glass opal spherical light sits atop a brass disc perched on the alabaster tall cone, like a sculpture from the sketchbooks of a 1930’s Bauhaus masterpiece. Designed to capture the radiance and allure of pearls, the opal lighting strike symmetry and poise creating a contemporary elegance that you won’t want to take your eyes off. We love that this piece can bridge many design styles. It’s also striking enough to steal the show, yet humble enough to not shout about it.